A maturing pot bud still a few weeks from harvest at Sky HIgh grow operation. When it comes to marijuana, Washington comes off as the granny state of recreational pot when compared with Colorado. Let’s face it, the rollout here has been glacial. As of last week, Seattle had just nine state-licensed stores. Nine. But change is coming to this state’s nascent marijuana experiment. A major player is poised to enter the market. Some of this state’s most business-savvy Native American tribes are evaluating the risks and opportunity to grow or sell marijuana, as well as the relatively untapped potential in medical-marijuana research. The tribe that patents the first major breakthroughs in using marijuana extracts to treat cancer patients or other chronic ailments could hit the mother lode in pharmaceutical revenue. What all this means for Washington is that, in time, tribes could be a major influence in legalized marijuana. They have the capital and business acumen to grow the market while keeping prices competitive, something that will appeal to some medical-marijuana patients and perhaps put a dent in the black market. It was the U.S. Department of Justice that opened the door to tribes. 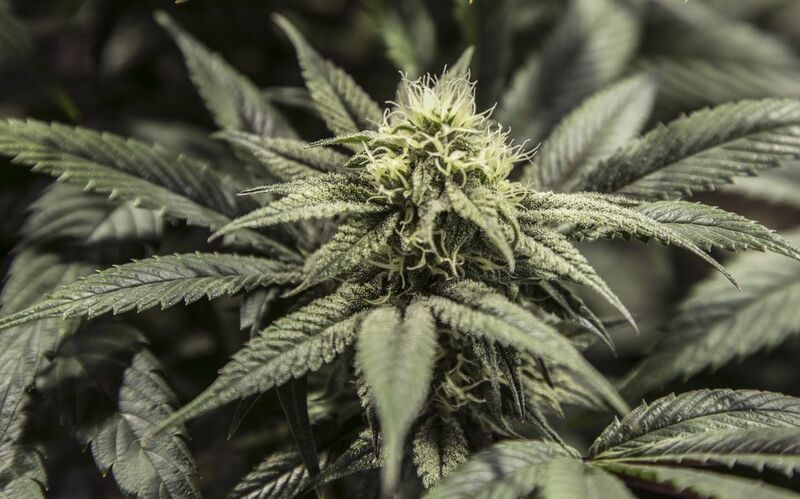 While again reminding us that marijuana is illegal, the DOJ recently announced that federally recognized tribes can grow, process or sell pot on tribal land. If they do so, the DOJ warned, they had better enforce robust regulations and keep it out of the hands of minors and prevent the revenue from reaching organized crime. With millions of dollars already being spent on recreational pot, it was only a matter of time before the tribes asserted their right to enter the market. After all, they have compacts with this state on gambling, tobacco, liquor and gasoline. And urban tribes such as the Puyallup, Muckleshoot and Tulalip Tribes have shown a remarkable knack at diversifying their portfolios with hotels, restaurants and nightclubs. The Muckleshoot Tribe recently bought the Emerald Downs racetrack. So now is the time for the state to act. Lawmakers already are busy trying to merge the tightly regulated world of legal pot with the Wild Wild West world of medical marijuana. Now they must add tribal pot to the thorny mix. State Reps. Chris Hurst, D-Enumclaw, and Cary Condotta, R-East Wenatchee, are pushing HB 2000, which would create a structure for the tribes and the state Liquor Control Board to negotiate on all manner of pot regulation and taxation. The risk, Hurst said, would be if the Legislature didn’t take action and tribes went their own way. “I’m not sure how we would be able to weave this system back together,” he said. The Suquamish Tribe of Kitsap County recently stated the obvious: It doesn’t need state approval to enter the marijuana market. But in correspondence with the Liquor Control Board, it noted it would be best for both sides to work together. As for the Tulalip Tribes, McCoy said, no decision on pot has been made. Seattle lawyer Hilary Bricken, who specializes in cannabis law, predicts marijuana on tribal lands is going to be big. Two California tribes already have contacted her firm, Harris Moure, she said. One wanted to partner with a University of California branch on medical-marijuana cancer research. The other envisioned a casino and pot resort where guests could tour grow facilities and enjoy “canna-gourmet” cuisine. Last week, Bricken’s firm and Odawi Law co-sponsored the first tribal marijuana conference at Tulalip Resort Casino. Some 400 people representing more than 75 tribes from 35 states attended. Next week in Las Vegas, tribes will meet again to discuss creating a Tribal Leaders Cannabis Association. For the state of Washington, getting out in front of this and working with the tribes is not only the smart thing to do, it’s imperative.